From January 2013 to June 2013. In coordination with the “Chamber Music Concert Series with Soloists from the Berlin Philharmonic Orchestra” an audition process was opened so that a selection of young international chamber music ensembles could receive master classes from the musicians performing on this series. The selected ensembles also received full scholarships from the Davidsbuendler structure to take part on this program. 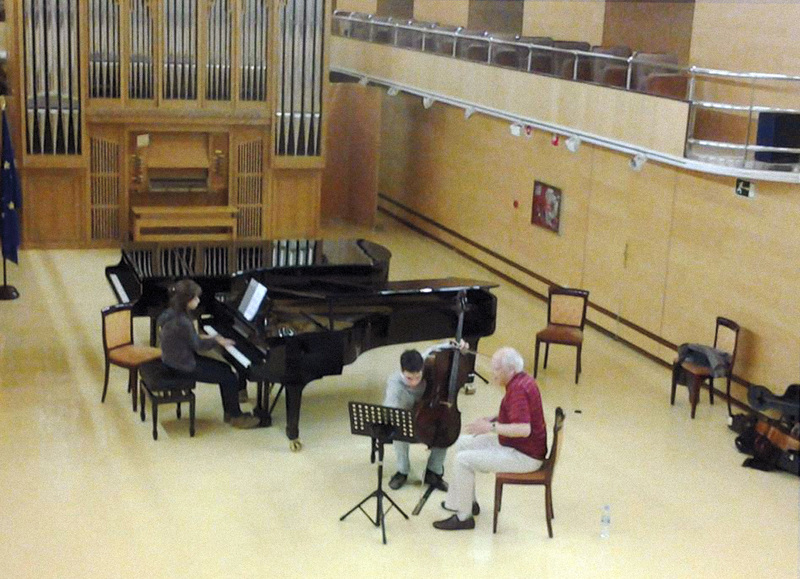 An intensive week of Masterclasses given by Götz Teutsch (former solo cellist of this orchestra and current Director of the “Philharmonischer Salon” series in Berlin) and Cordelia Höfer was also held at the Royal Conservatory of Music in Madrid in coordination with its Students Association.